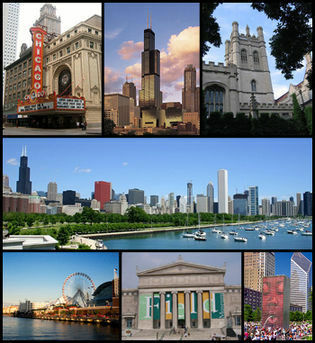 Chicago is a world-class city of unsurpassed beauty, attracting visitors from around the nation and the world. Located on the shores of Lake Michigan in the heart of the Midwest, Chicago is home to the Blues, top sports teams, an internationally-renowned symphony orchestra, spectacular live theater, celebrated architecture, thousands of restaurants, and world-class museums and shops. In addition to the Navy Wharf, Chicago is home to a vibrant China Town. Chicago and gangsters are synonymous the world over. Before Michael Jordan and Oprah, Al Capone inspired a certain pride in the Windy City. But where in Chicago did it all happen anyway, and who were the key players? The Untouchable Tour provides the answers. But, if there is one thing that defines Chicago, it is this city's world-class architecture. Marvel at the city's famous buildings, landmarks, public sculptures and lively ethnic neighborhoods. World-class museums are another top draw. Exhibits covering history, science, the natural world, the oceans, the heavens and some of the world's finest art are all available for curious minds and enthusiastic gallerygoers. Topping the list are the John G. Shedd Aquarium, the venerable Art Institute of Chicago, the Museum of Contemporary Art, the Field Museum, the Adler Planetarium and Astronomy Museum, and the Museum of Science and Industry. Take the non-stop ride to the Skydeck observatory - 1,353 feet above street level and higher than any other rooftop in the world.